Jim Rosemary is the owner of New Tech Web, an independent Website Development, Internet Marketing and Business Consulting company. After studying business at University of Michigan, he went to work for the Sony Corporation as a National Training Manager, and eventually as a National Account Manager. He left the corporate world of Sony to launch New Tech Web in 1997 and hasn’t looked back. In his spare time, he volunteers to operate the web and internet marketing operations for Washington’s Small Business Fair. 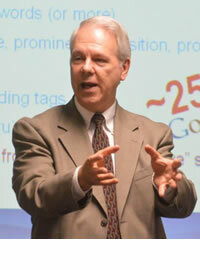 Jim will be teaching “Drive Traffic to Your Website” and “Keys to Creating a Business Boosting Website“.